I have Come into this world for the sake of My devotees, those who are Mine. My devotees are all those who surrender into heart-Communion with Me and (ultimately, Most Perfectly) Realize Me. Therefore, any one who comes to Me in order to Realize the Divine Self-Condition and Source-Condition (That Is Real God, and Truth, and Reality), and who persists in surrendering into heart-Communion with Me, is My Own. 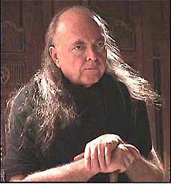 Each of us has had the altogether overwhelming good fortune of finding Avatar Adi Da in a thoroughly unique, graceful, transforming and unexpected way, which led to our becoming His devotee. We wish you the same profound opportunity. We have seen the mysterious means He uses to Instruct and Bless individuals and the world. And we know of no better way of telling you about this than in our own words. For beautiful and inspiring recountings of Avatar Adi Da's Work with individuals, even under the most difficult circumstances, purchase the new Dawn Horse Press publication "Love and Blessings, The Divine Compassionate Miracles of Avatar Adi Da Samraj." © 2010 The Avataric Samrajya of Adidam Pty Ltd, as trustee for The Avataric Samrajya of Adidam. All rights reserved. Perpetual copyright claimed.